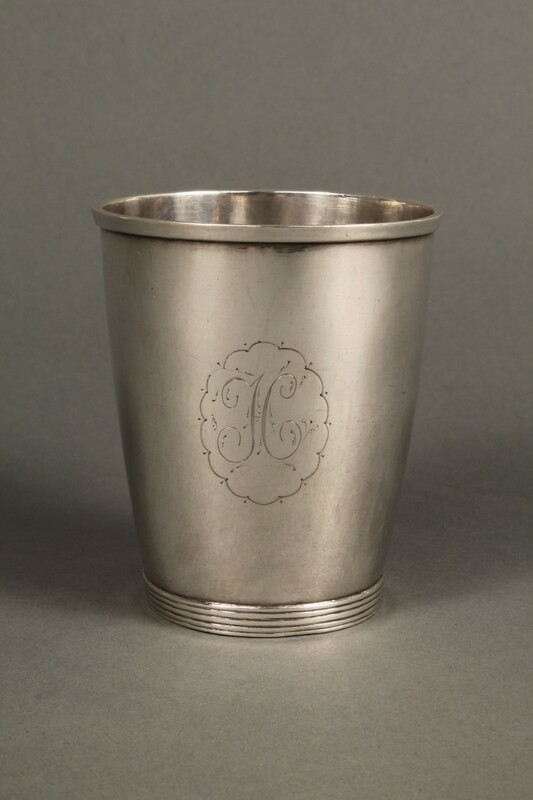 Virginia coin silver beaker or tumbler, slightly bellied body with molded lip and triple reeded molding at the base, marked twice on bottom "H & P" (Daniel Hartman and William Phillips, working Winchester, VA circa 1802-1816). 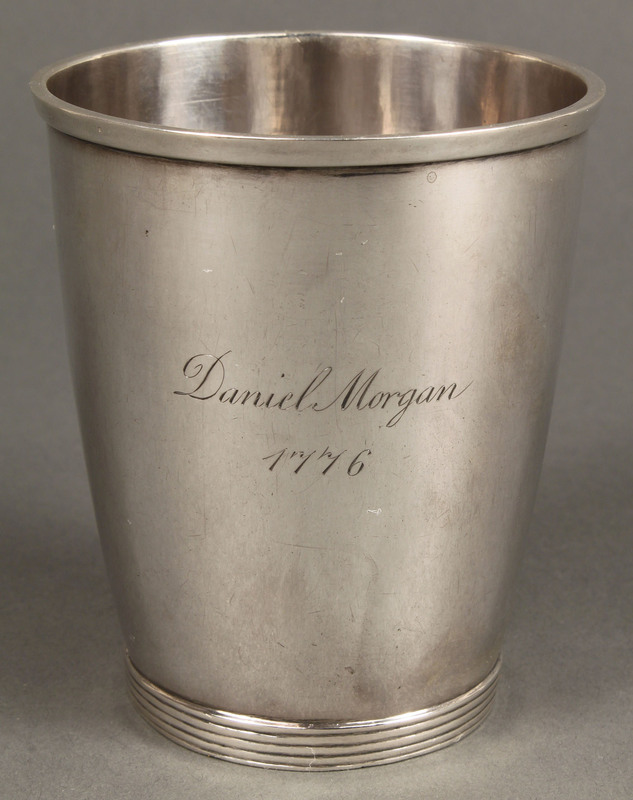 Cloud-like cartouche with "H" monogram on one side, the other inscribed "Daniel Morgan/1776". 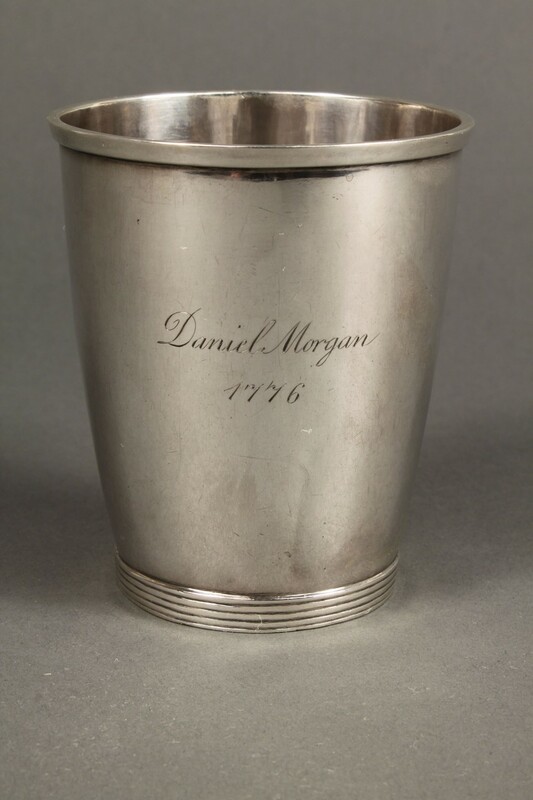 The later inscription refers to Daniel Morgan (1736-1802), of Winchester, the Revolutionary War colonel and later Federalist Virginia congressman. His group of Revolutionary War era marksmen was nicknamed "Morgan's Riflemen". He also commanded troops during the suppression of the Whiskey Rebellion. 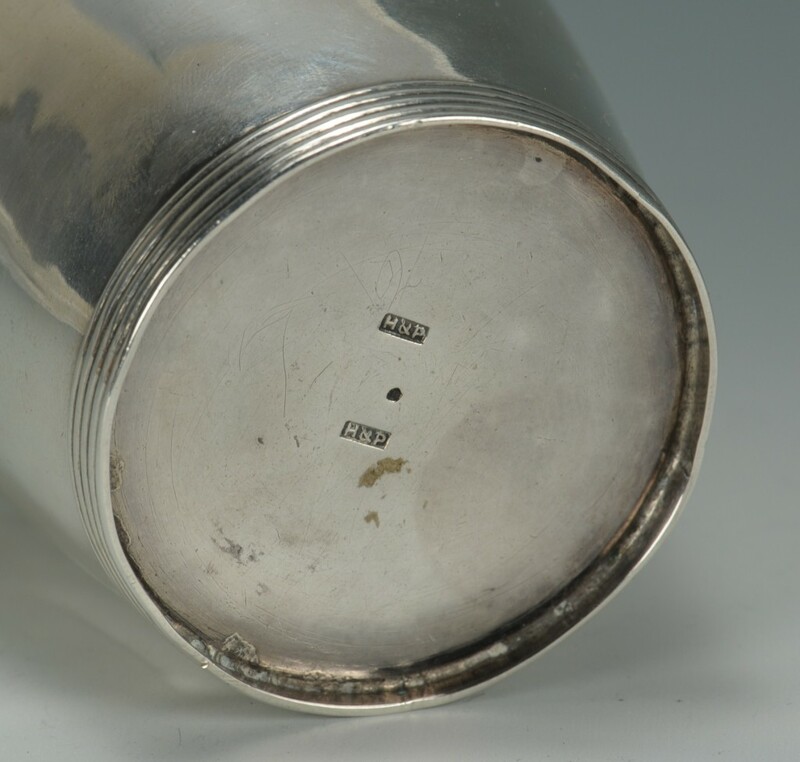 According to the book "Virginia Silversmiths" by Catherine Hollan, this is one of three other known similar cups by Hartman and Phillips bearing a Daniel Morgan inscription; the others (both in private collections) have different monograms in the cartouches. 3-1/2"H x 3" diameter. 3.45 oz troy. 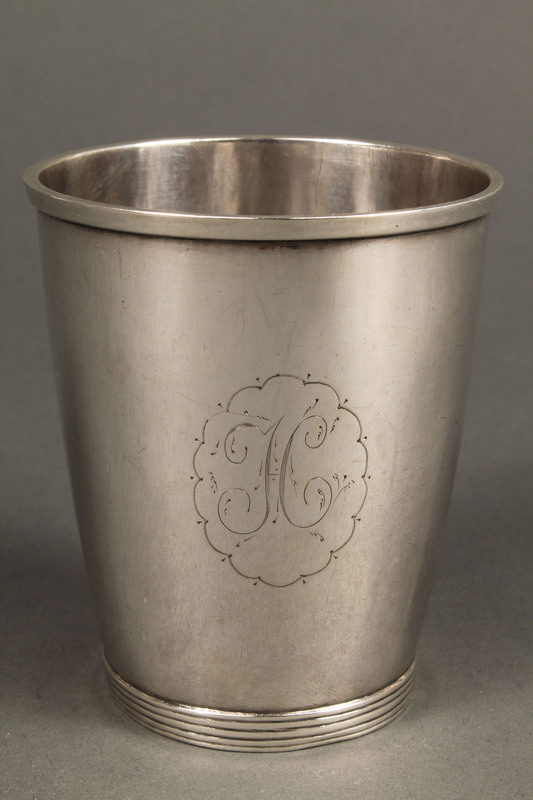 Provenance: Estate of Salli LaGrone, Franklin, Tennessee. Condition: Minor scratches to body, few light small dents near the base, and few light scattered areas of pitting to interior, overall excellent condition.